Poly (polyethylene) bags are well known for their versatility and affordability in the packaging materials supplier industry. Poly bags provide necessary protection in almost any shape, size, or color which makes them ideal for use in many different applications and industries. Different types of poly bags work for specific needs such as those that are designed to protect products while they’re being shipped or stored. The varying thickness or poly bag materials can also help to provide a range of packaging solutions. In this post, we will look at some of the styles of poly bags we offer. Lay flat poly bags are typically the most cost effective. Our layflat polybags are USDA/FDA compliant and come case-packed or perforated on rolls with two dimensions. Our clear, layflat polybags come in almost 1000 different stock options with the option to customize to meet your product packaging needs. Unlike layflat polybags, gusted poly bags can handle bulky products. These gusseted bags have three dimensions as opposed to two and work great for containing large, oddly shaped products, lining bins and containers, and for covering large pallets. Poly materials can be made in different colors and custom printed designs that work with your product’s branding and labeling needs. Using colored or custom printed poly bags can reinforce branding while setting your product apart of your competitors. Reclosable zip top poly bags feature full gauge thickness and reliable closure performance. There are many different size and bag types available that feature a reclosable zip top. 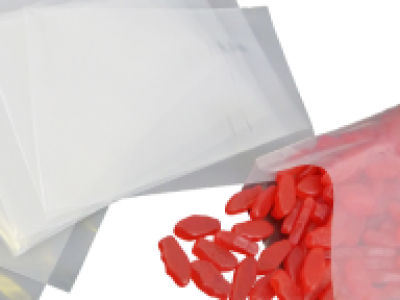 If you need packaging that can show whether or not integrity has remained intact, you may want to consider tamper evident reclosable poly bags.